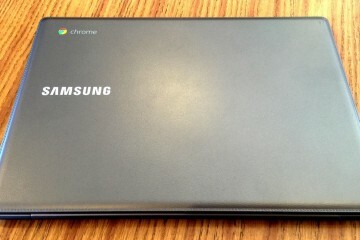 The Best Chromebook: Which Google Chromebook Should You Buy? Chromebooks made a name for themselves by offering customers the world’s most popular browser – Google Chrome – at a low price and attractive laptop form factor. With dozens of models on the market, it can be hard to figure out which Chromebook is best for you; fortunately, our list of the best Chromebooks is here to help. In the beginning, devices running Chrome OS (Chromebooks, Chrome OS-powered desktops, etc) achieved affordability the same that netbooks did a few years ago: small screens, slow CPUs, you get the idea. 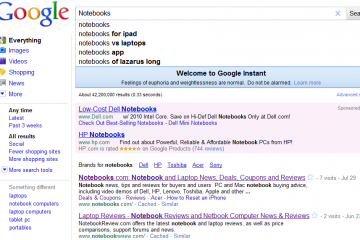 Similarly, when Google first introduced Chrome OS, you could use a Chromebook to browse the web (on Chrome, naturally) and do very little else. All this has changed, however, and changed for the better. 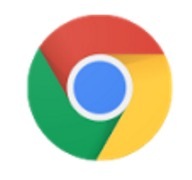 These days, Chromebooks can run some Android apps (and Google has announced that Chrome OS and Android will eventually merge), and you can get a Chromebook with more resolution than a Retina-equipped MacBook Pro – it all depends on what the best Chromebook for your needs might be. 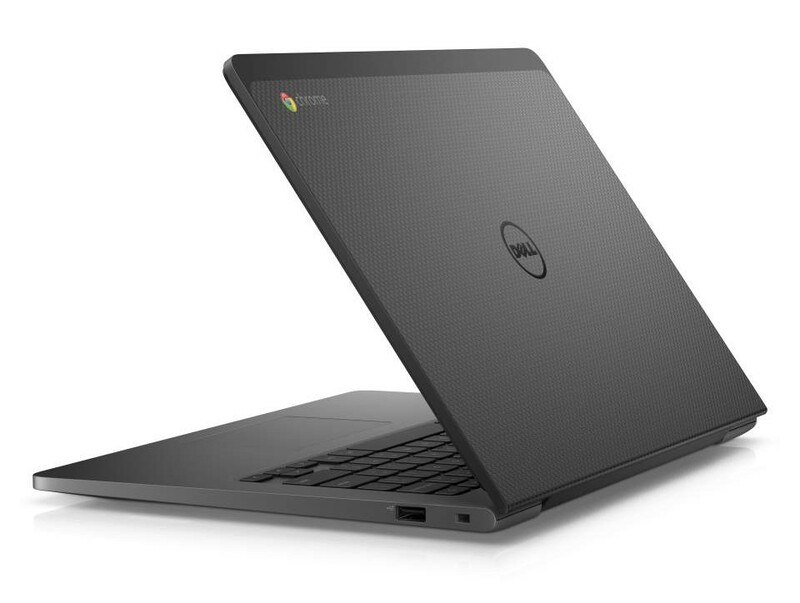 Let’s start out by talking about the best Chromebook you can buy. While some Chromebooks may cut costs by using small screens, lower resolutions, and slower processors, Google set out to build a halo device that could show the world what Chrome OS could do. 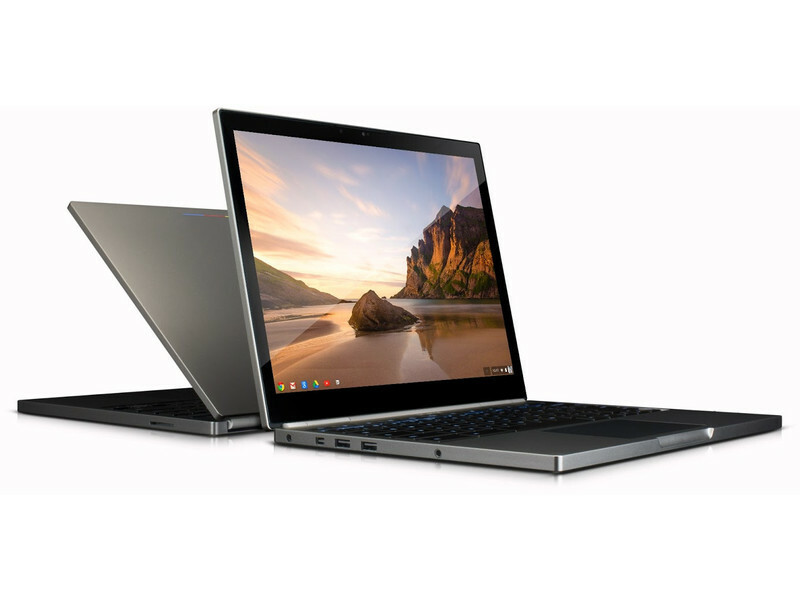 Called the Chromebook Pixel, the first iteration featured dual-core Intel Core i5 CPUs, 4 gigs of RAM, 32 or 64GB of high-speed flash storage, and even LTE in select models. 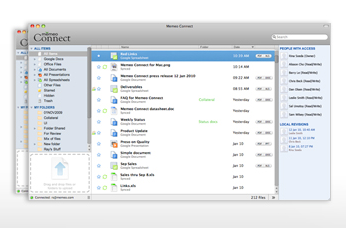 The second generation features even faster CPUs and 8 or 16GB of RAM. Both models use the same high-resolution touchscreen, offering a resolution of 2560 x 1700 (or 239 pixels per inch). It’s not just the internal components that set the Chromebook Pixel apart. The cases are constructed of solid metal, the trackpads are superb – etched glass models that are the next best thing to the trackpads offered on Apple’s MacBooks, and the speakers are installed below the keyboard, so the Chromebook Pixel sounds great without having big speaker grilles on either side of the device. The Chromebook Pixel also has an unusual aspect ratio: while most laptops are 16:9 nowadays, the Pixel’s 3:2 allows for slightly more vertical content. While the first gen suffered from issues like warm keybaords and limited battery life, the second edition’s use of newer Intel processors fixed them. And despite the integration of a limited number of Android applications, the Pixel’s touchscreen is still of limited use (although it works great for pinch-to-zoom in webpages like Google Maps, and I managed to try and scroll on my MacBook Pro display more than once when I was finished reviewing it – which just goes to show accustomed you can get to new technologies). 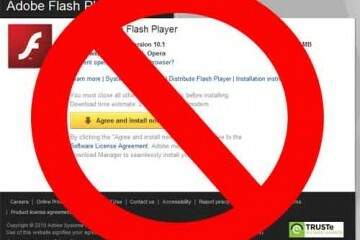 Of course, high-end technology and materials don’t come cheap, even if you’re not paying for a Windows license. 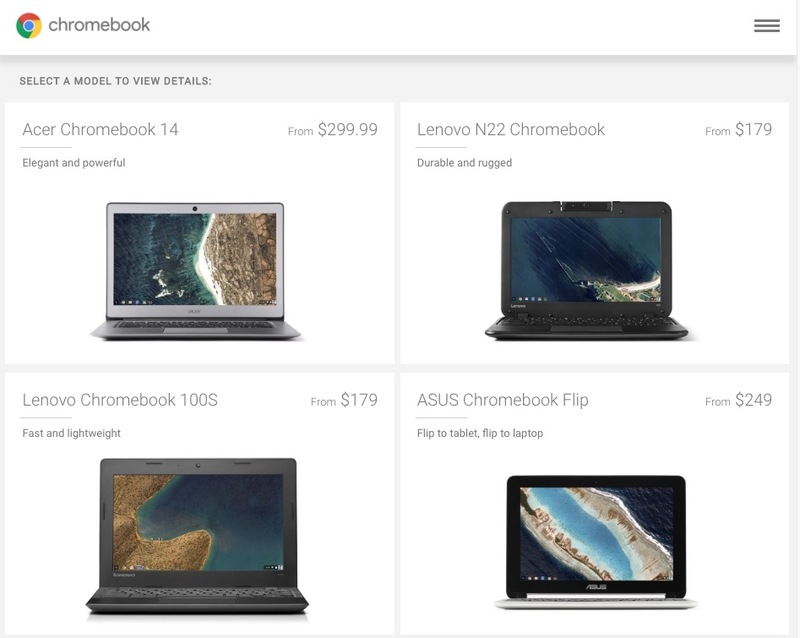 The Chromebook Pixel starts at $999 USD and goes up to $1299 for more RAM and a bigger SSD. Many balk at the idea of paying $1000 for what is, essentially, a glorified web browser – but so much of today’s computing takes place within the web browser that this isn’t quite the limitation it used to be. 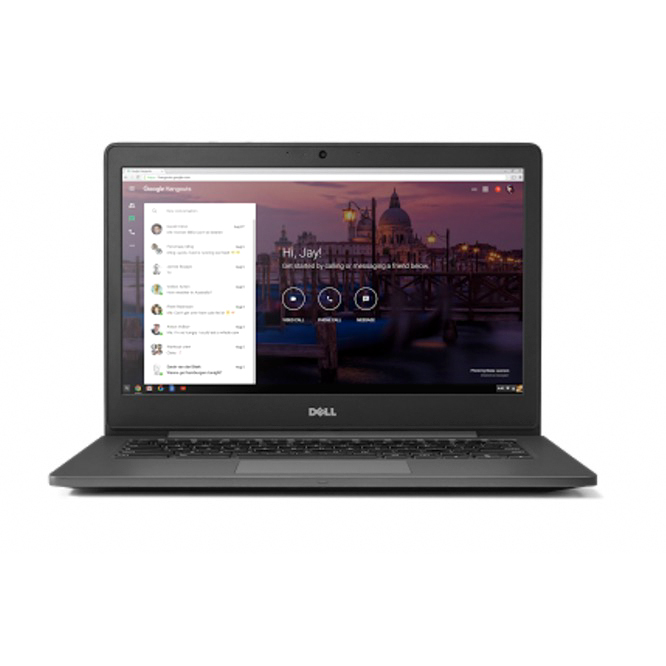 Most of the things that make the Chromebook Pixel special – better Intel CPUs, luxurious design, a good screen, and excellent battery life – can be had in the Dell Chromebook 13, and for hundreds of dollars less. Dell’s new Chromebook effort starts at just $429, for which you get great build quality, decent performance, and a full HD (that’s 1920 x 1080, mind you) display. This is Dell we’re talking about, so if you want to pay a little more cash, you can, upgrading to better CPUs and touchscreen displays. You also get 802.11ac Wi-Fi and Bluetooth 4.0 (though the latter is really only useful if you need to use a Bluetooth mouse). Everything about the Dell Chromebook 13 feels pretty good, and if the Chromebook Pixel didn’t exist, Dell might take its place on our favorite Chromebooks list. You might remember the ASUS Chromebook Flip for debuting on our list of the best laptops you can buy for less than $300 (it starts at just $229), and that’s for a good reason – it’s an interesting little laptop that doesn’t break the bank. One of the few innovative designs when it comes to the Chromebook line, the Chromebook Flip has adopted the folding design made popular by laptops like the Lenovo Yoga. When you want to get work done, or actively type up content on a webpage, you can use the Chromebook Flip like any normal laptop. When you want to sit back and watch movies or read, however, flip the screen around and you’ve got yourself a Chrome OS-powered tablet. You can expect up to eight hours of battery life on this 10.1-inch hybrid Chromebook, thanks in large part to the device’s Rockchip 3288-C Quad-Core ARM processor running at 1.8GHz. The only downside is that at 10-ish inches, the keyboard on devices like this is inevitably cramped – the nice HD IPS touchscreen, and flippable tablet mode, however, make up for it. We’ve covered the best Chromebook in the premium market, and the best Chromebook with a dual-mode, 2-in-1 design. 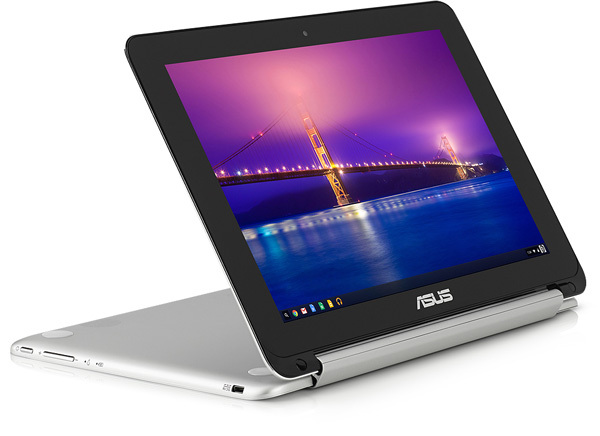 Those features cost money, however, and since one of the best parts of the surge in Chromebook offerings is their affordability, any list talking about the best chromebook would be remiss if it didn’t also have the cheaper options on the list. 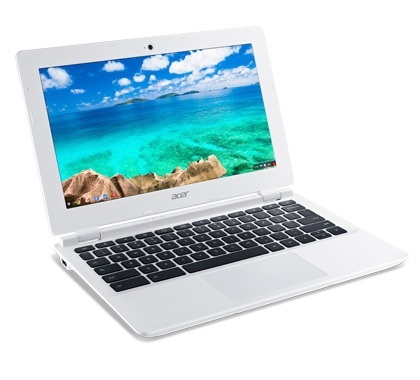 In this case, that’s the Acer Chromebook 11. We found the Acer to offer a nice mix of features, like an Intel Celeron N2830 CPU, 802.11ac Wi-Fi, and an 11.6-inch display running at 1366 x 768. It gets up to 8.5 hours of battery life, and despite the 2GB of RAM, renders webpages fairly well – you’ll notice the memory constraints if you’re one to leave a bunch of tabs open in Chrome at the same time, however, so be sure to close things down when you’re finished. Still, the best part of the Acer Chromebook 11 is the price – at just $159.99, it’s an easy buy for anyone who just needs to browse the web or type up an occasional paper in Google Docs. The affordable nature means you don’t have to worry so much about letting the kids play with the laptop, and if it ever gets stolen – well, that’s terrible, but it’s less of a hit to replace the Chromebook 11 than it is, say, the Chromebook Pixel. 3 free movies from Google Play Movies and TV – you can get three free videos from Google’s online store and watch them online, on your Chromebook, or any Android or iOS device. Unlimited Music from Google Play: extend the free trial period of Google Play Music’s all-access pass to 60 days, after which you’ll have to pay $9.99 / month. Free Google Drive space: all Chromebooks get free Google Drive space boosts, between 100GB and 1TB, depending on which Chromebook you buy, and when you buy it. Free Gogo In-Air Internet Access: if you buy a new Chromebook in the U.S., Google is giving all new owners 12 passes for free Internet access on flights with Gogo.